After graduating in Dentistry from the University of Gujarat in 1983, Hitesh moved to the UK and has established himself as one of London’s leading progressive dentists. Hitesh spent the first nine years of his career working at a busy Central London practice treating a wide variety of patients and developing his interest in a holistic approach to dental treatment. Always determined to be at the forefront of innovative dentistry, Hitesh continued his education while at the practice and qualified in advanced techniques including restorative treatments. It was here he developed his career-shaping interest in dental homeopathy to supplement conventional treatments and enhance patient care. Inspired by his studies, Hitesh opened Ravenscourt Dental Practice in 1994, a family-friendly surgery which offers patients top quality treatment in a relaxed, holistic environment. 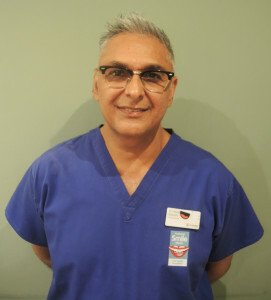 Since opening this West London dental practice, he has continued to extend his own professional skills as a dental professional and educate his patients on the benefits of a preventative approach to oral health. Hitesh is renowned for his expertise in treating nervous patients and young children. He excels in the safe removal and replacements of amalgam fillings. He is also highly skilled at examining how a patient’s bite and jaw structure can affect oral health and offers first rate treatments in fillings, crowns and all areas of general dentistry. In 2002 he was also was awarded a Licentiate in Dental Homeopathy. Away from dentistry, Hitesh is also an avid art lover, reader and theatregoer with a passion for cooking. He also enjoys keeping fit by going to the gym.